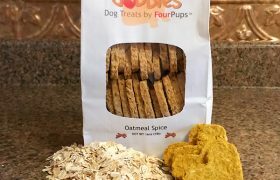 High in protein and soluble fiber, Oatmeal is a powerhouse of healthful benefits that lowers cholesterol, reduces heart disease and helps to maintain weight in both humans and dogs. Apples, a disease fighting fruit, adds vitamins A and C along with antioxidants. 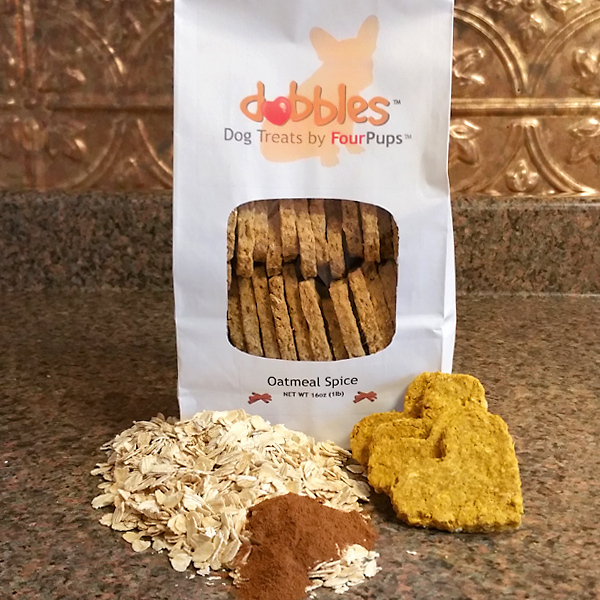 The spices cinnamon and ginger not only provide great flavor, but also aid in digestion, help to regulate blood sugar, ease arthritis and act as an antioxidant, anti-inflammatory and anti-bacterial immune boost. Whole Oats, Potato Flour, Organic Apple Purée, Golden Flax Meal, Whole Egg, Olive Oil, Cinnamon, and Ginger. 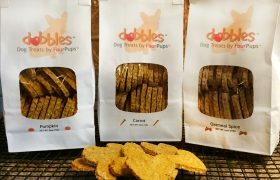 Be the first to review “Dobbles™ Apple Dog Treats – 1/2 lb. bag” Click here to cancel reply.